So let's have a look at some of the highlights that pulled us in for this collection. 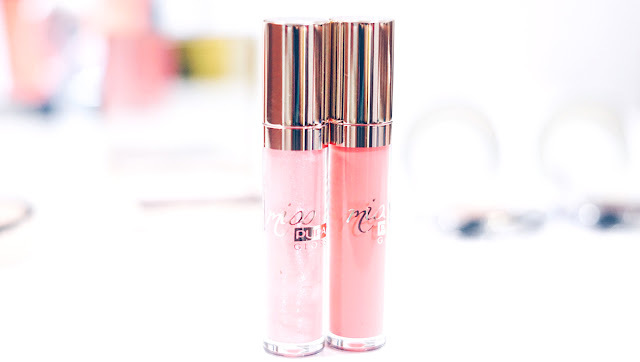 The first one up are the Miss Pupa Glosses. It gives a wonderful shine and a rather wet effect on the lips. The texture is extremely comfortable to wear as well (even though I would suggest scrubbing them well first) and lasts for up to a good two hours without any cracks. Its a lovely product to use, especially during Spring time. Since I haven't specifically spoken about nail shades in some time, let's discuss about the Lasting Color Gels from Pupa Milano. 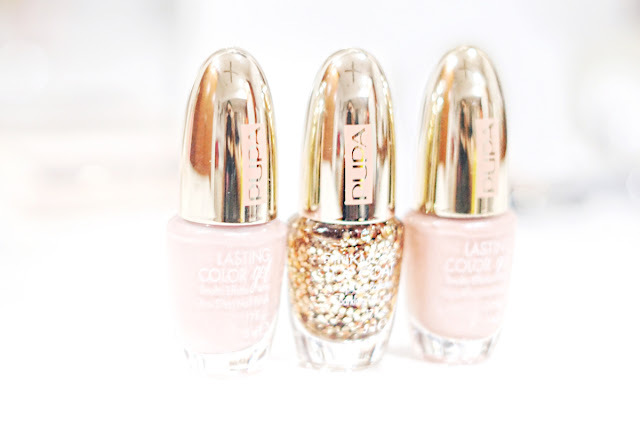 Light and delicate colors are in season this time round and an addition of gold glitter is in play to transition the nail look from day to night. The tones go on well with easy application, and the shades are really lovely too- sweet and feminine. Last but not least are the Vamp! Metallic Eyeshadows. These have to be the most loved out of the entire collection and it can be applied on both dry and wet. It has great pigmentation and gives a wonderful foiled look when its packed on with a damp beauty brush. The texture is also very lightweight and velvety, plus it applies extremely smoothly on the lids too. Now this collection has already made available to SaSa stores, but for more information on them, you can head over to the brand's Official Website and Facebook Page for further details. The glossy packaging makes these look so classy. I'd love to check them out on SaSa. Thank god we don't have to wait. The eye shadows are so beautiful and pretty and unique. Can I have one please? Its Spring already? Wahh the color so cheerful an bright, I love it! I have not seen this brand before but the packaging caught my eye. It's so classy and pretty. For this brand, i love their foundation. It looks nice on my skin & doesn't oily because it is water based.